Denying all the earlier reports of launching facelift Verna on February 16, 2015 in Indian car market, Korean car maker has confirmed that the Fluidic Verna 2015 will make its debut on February 18, 2015. 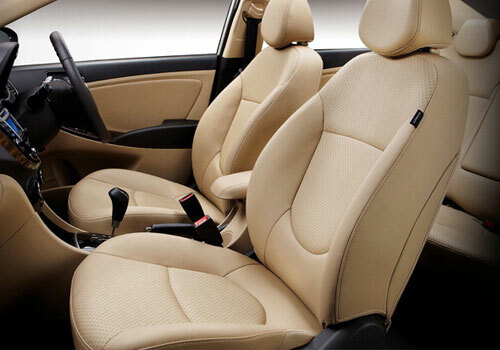 With this announcement the car maker has also started the bookings of this luxurious sedan on payment of Rs. 10,000. It is speculated to be offered with price tag ranging from Rs. 7.30 lakh to Rs. 11.50 lakh and continue with existing engine configurations of 1.6 litre petrol engine and 1.4 litre diesel engine. Both the petrol and diesel engines would be mated with five speed and six speed manual gear transmission system. However this it is speculated that six speed automatic transmission system may also be offered. The engines are expected to be offered with improved fuel efficiency and enhanced suspension system. The cosmetic changes that are reported to be adorned in facelift Verna would be contemporary and offered on both exteriors and interiors front. On the exteriors it will receive newly developed front bumper with sportier looks with newly designed headlamps followed by LED daytime running lamps, new alloy wheels. On the rear portion also it will receive new rear bumper with reflectors mounted on it. 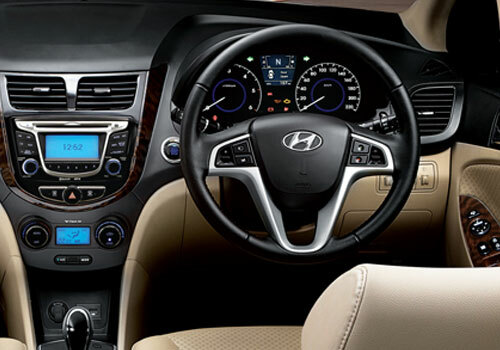 The interiors are expected to almost same as offered in existing version of Verna but will bestow touchscreen infotainment system. After launch the new Hyundai Verna 2015 will compete against Volkswagen Vento, Honda City and recently launched Maruti Suzuki Ciaz. This year it will be the first launch by Korean car maker after which the other cars in pipe line for this year would be ix25 compact SUV and Elite i20 Cross. The facelift Verna is already on sale in Russian car market where it is named as “Solaris”.